The 9 hole mini golf course is located behind the hotel, accessible from the terrace of the restaurant or going around the hotel. Equipment rental from the hotel reception. 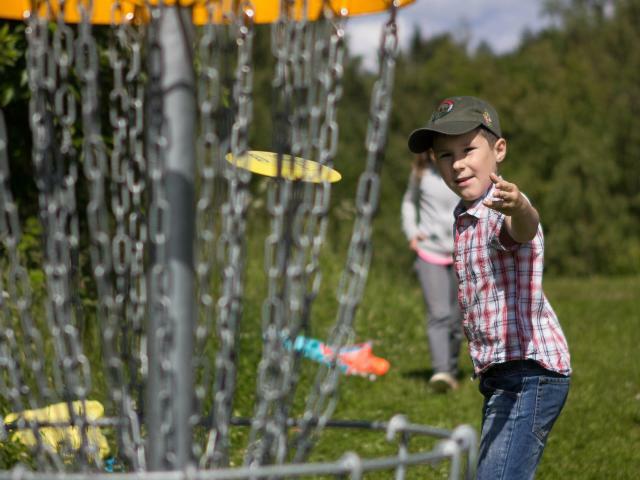 The 12 hole disc golf course is located in the proximity of the sports field, behind the multi purpose Arena and the ice hockey arena (100m from the hotel). The starting point is behind the Arena. Equipment rental from the hotel reception.